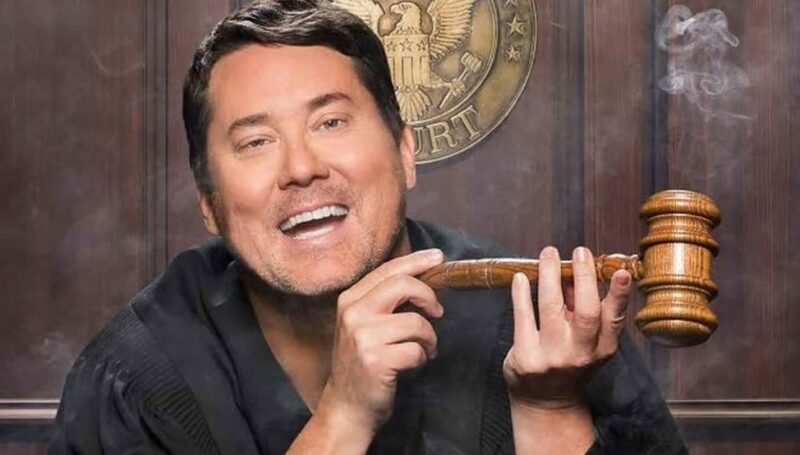 Who else is more fit than quintessential cannabis comedian, Doug Benson? From his show Getting Doug With High to his documentary Super High Me, Benson’s been a major cannabis advocate and has deeply contributed to the destigmatization of cannabis. But the herb didn’t become a part of his repertoire until later in life. Benson’s view on the role of marijuana within the realm of comedy is unique because he’s been able to weave it into his creative identity in a way that’s genuine to who he is as a performer and human being. I asked Doug why he thought so many comics consumed cannabis, and he says that, essentially, they have the most fitting schedules for it. Jesus Trejo is fairly new to cannabis and tends to gravitate towards CBD dominant strains, like Harlequin. Trejo prefers to minimize the effects of THC and finds that strains heavier in CBD put him in a happy mood with less paranoia and intoxication. Trejo says he prefers performing in front of a high audience rather than a drunk audience for a number of reasons. When asked why he thinks comedy and cannabis go hand in hand, Trejo, offered some useful insight regarding some of the struggles comedians face. “I think a lot of comedians flock to cannabis because of its wide array of benefits including: medical reasons, a creativity boost, relaxation, or simply for the good o’ hangout,” he says. But he also notes the social effects of the plant as another reason it’s used by so many comics. Trejo makes a valid point: so much of being a comedian involves being a member of a larger community of comics. And there’s truly nothing more fun than smoking weed with some of the most intelligent and highly entertaining people in the world. When asked why she thinks comedians consume weed, Peluso says that it’s a way in which comedians–and people, in general– experience relief from life’s pains. “Most of my comedian friends have severely traumatic pasts,” she says. “A few of those people also suffer from addiction. I think cannabis provides some reprieve from the pain and allows the mind some calm in order to create without the side effects of pharmaceuticals or narcotics”. Watch Jessimae Peluso every Wednesday at 4:20PST. For Weedsday on Facebook live & Instagram Live. Rachel Wolfson, better known as ‘Wolfie,’ has been smoking since she was 19-years-old and is known for her cannabis-driven weed memes @wolfiememes. Wolfie explains that weed and comedy are compatible because, in essence, it gives comics the ability–and relief–to pursue their art. “Comedy and cannabis go hand-in-hand,” she says. “It’s a substance comedians just gravitate toward naturally. I think the reason so many comedians consume cannabis is because a lot of us have anxiety, trouble sleeping, mental health issues, or just enjoy smoking weed”. The connection between cannabis, comedy, and creativity is so evident it’s tangible. Whether comics use the plant regularly, recreationally, or medicinally, one thing is certain: we aren’t going to stop using it anytime soon. The post The Longstanding Love Affair Between Cannabis and Comedians appeared first on High Times.